Being around for more than 10 years, Second Life has made such an impact on modern society. People flock to the game and use it as a way to hold virtual meetings, virtual company events or even virtual workplaces amidst beautiful settings on private islands, and also to facilitate the exchange of knowledge. 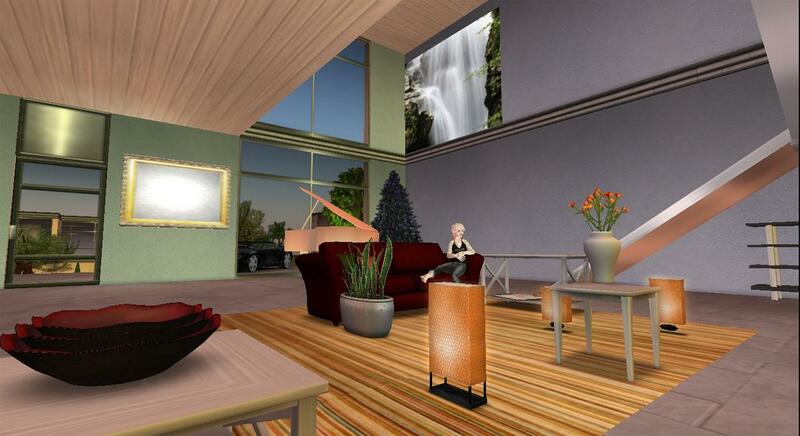 Countries have even opened up virtual embassies in Second Life to help promote the countries’ culture and image. Some scientists even speculated that Second Life may help people with certain disabilities and syndromes to open up due to the security and anonymity provided in the game. It is certainly amazing to see how far Second Life has come. Sign up today and enter Second Life to see what is the hype all about! 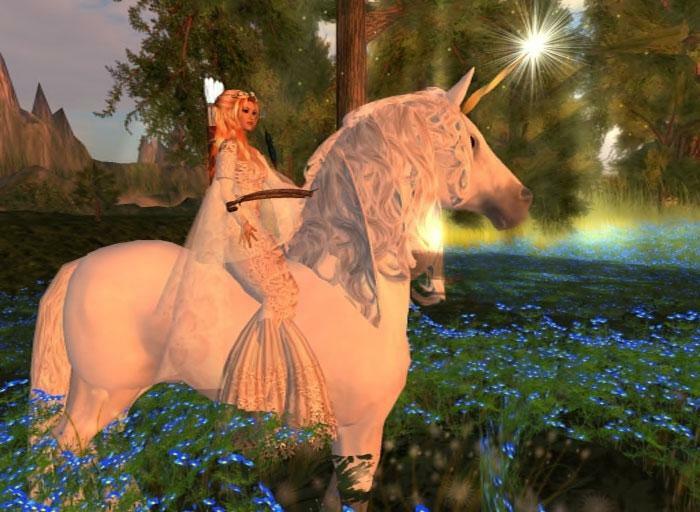 Second Life has thousands of user-generated worlds, each with their own theme and plotline. There are also places, usually fantasy-based or sci-fi-based, that focus on role-playing. Love Captain Jack Sparrow? Well, you can be just like him in Second Life and make all the maidens swoon at the bar with your swashbuckling tales of glory! This is Second Life after all! You are given a virtual ‘second life’ to be whatever that you always wanted to be and to create your own stories the way you want it. After signing up and creating your avatar, you will be guided through the very brief tutorial in order to get you started. Being more of a social game rather than an action-filled game, the controls in Second Life are very easy to learn. Interacting with objects in this game is as simple as clicking on it and then choosing what pose you wanted to have while interacting with the said object. For example, besides sitting on cushions, your avatar can also recline and meditate on it. There are plenty other interactive objects, like inner tubes whereby you can just float around a pool or drive cool-looking cars. One thing of note in Second Life is that players are given the ability to fly (without wings)! It’s amazing to be able to enjoy the beautiful scenery in Second Life from a bird’s eye view. Second Life is very generous to its users as well. Every new user will start off with a large inventory filled with free sets of clothes, such as outfits that are suited for clubbing or for a day by the beach. If you prefer to mix and match clothes to give your avatar that unique and personal blend, there is always the marketplace. Here, you can purchase clothes, hairstyles, accessories and even items for your own land! In addition, Second Life also offers a huge variety of community-created worlds for you to explore and enjoy! Each world usually has its own shops where themed items created by the user are sold and plenty of secret places for you to find. There are thousands of places in this game that cater to different groups of people. Thus, if you enjoy science fiction, you may want to drop by futuristic or cyberpunk worlds rather than, say, a nightclub. For people who like the wild wild west, a world called Tableau boasts of having a magnificent desert/ wasteland world that is filled with ruins and cowboy towns for you to explore (tumbleweeds included)! Through finding and settling on a world that you like, you can meet many like-minded people there and who knows? You may just find a lifelong friend or even your other half! In Second Life, you can, too, find worlds that are designed in a way to help people with disabilities and disorders. For instance, there is a world called the virtual Post-Traumatic Stress Disorder (PTSD) experience whereby it specializes in helping people with PTSD, namely soldiers who have returned from war, to cope with their disorder. Second Life is probably one of the pioneers for virtual world games to be used as a way to treat psychological disorders. Can’t find a place that you like? You can also set up your own place by buying or renting your own land! 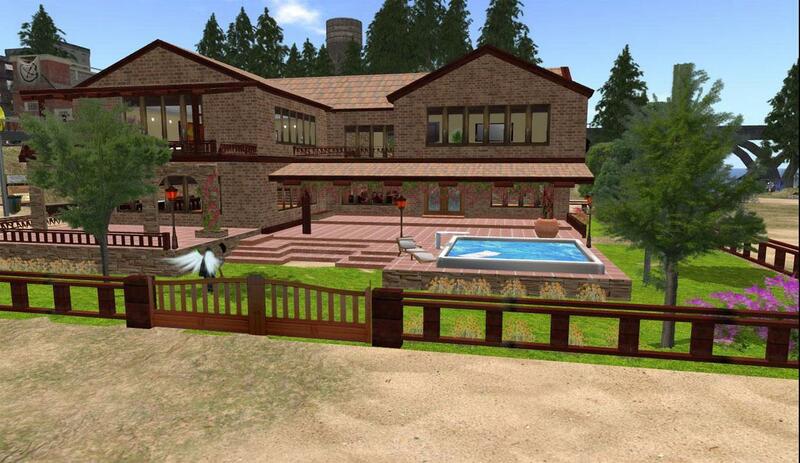 There are two sorts of land in Second Life – mainland and private estates (or islands). Basic users are allowed to purchase or rent private estates, which are way more expensive, while the cheaper mainland is reserved for premium members. Renting can be a headache as users will be at the mercy of their estate owners – if you have offended the estate owner somehow, he or she may ban you from accessing the land or worse, delete every single object from your rented land (which he or she owns) and you can do nothing about it. Hence, it is best to save up and purchase a land of your own instead of renting, unless you are absolutely certain that the estate owner is someone you can get along with. However, in order to buy anything in Second Life, you will need some Linden Dollars (L$) first. There are several simple mini-games in the game that will reward you with money, such as Gold Hunt, Fish Hunt and Farm Frenzy. With patience, you can accumulate a nice sum of L$, but you may need to top up with real money from time to time, especially if you want to maintain your own land. There is also another, more creative way to earn L$ in Second Life – by creating in-game objects and items and then selling them at the marketplace! The game offers a wide range of tools and templates that you can use to build or design your own unique objects. If you understand a bit of coding, you can also add scripts to your items and see them come to life! Moreover, if you’re skilled enough, you may even be able to make playing Second Life as a way to make a lucrative living! Seriously, who doesn’t want to be able to play games and make money at the same time? 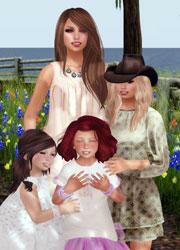 Have a memorable moment in Second Life that you would like to capture? You’re in luck! The game provides a high definition screenshot capture function that can instantly upload the screenshots to your Facebook account or any other social media sites. If you want to make a video instead, then you may use a third-party video capture program as well. Furthermore, Second Life allows voice calls instead of the usual text-based chatting, and, for the shy, a voice morphing feature. The game is also friendly to teenagers. They are allowed to move around in most of the worlds, but are barred from the adults section. Hence, teens will be able to freely and safely interact with others within their age range without being exposed to mature content. Since almost 99% of the content in Second Life is user-generated, this game can be considered as a community-driven game. The community in Second Life provide a very welcoming atmosphere as they are friendly and are happy to meet new people (that’s the main purpose of Second Life after all – meeting new people!). Furthermore, many of the events organised in this game, such as ballroom dancing, contests, workshops and concerts, are hosted by its users as well. 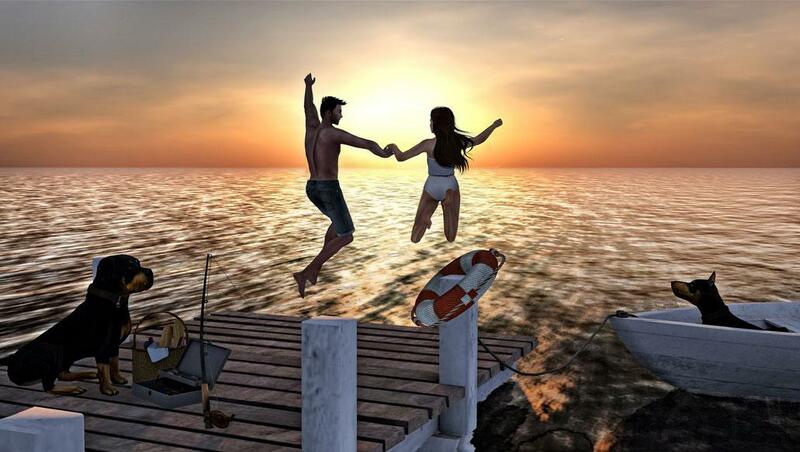 There have been numerous cases whereby people who initially met in Second Life ended up bringing their relationship from the virtual world to the real world. In fact, there have been couples who met through Second Life and are happily married years later – both in-game and in the real life. Second Life is certainly an excellent example of a game that brings people from various cultural backgrounds together in one humongous virtual community! 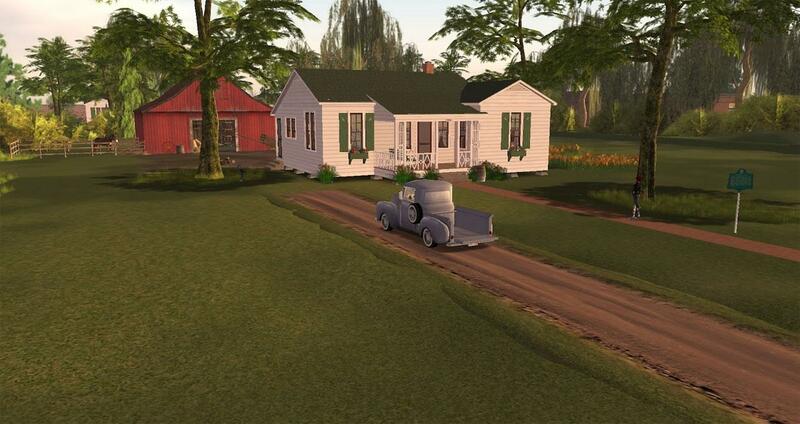 The 3D graphics in Second Life is nothing short of amazing for a virtual world. Simply take a look at some of the screenshots that we've captured should be enough to convince you how beautiful the game is. Moreover, in this game, users are allowed to add sound or background music that is suitable to the theme of their created world. The music does add a bit of charm to the place and makes the place feel lively. The game by itself does not have any music though. When I hear the words Virtual World, Second life is the first thing that comes to my mind. Second life is a virtual world where you can truly be who you want to be.